In House training and support services can be customised. For sales and customer services the programmes can be tailored to your sector, what you sell and the clients you manage and target. Whether you are looking for a one off course or an on-going training and coaching programme we can help you. All businesses gain a free training needs analysis and Government funding support assessment. You could gain up to a 50% contribution towards some of the programmes and services we provide. Contact us to find out if your organisation can benefit. You can select from our wide range of open courses or have a programme specifically designed for you, this could include content from a range of courses or a complete customised training and support programme. We recommend some return on investment measurements are defined pre training E.G. increase in number of appointments by x %, win rate ratios improved by x%. Post training we assess the value derived from the programme and identify what improvements have been made in terms of skills, attitudes and performance. Regularly reviewing this and identifying other areas for training and development to ensure continual improvement. in house customised programmes could be more cost effective for multiple delegates when compared to an open course. 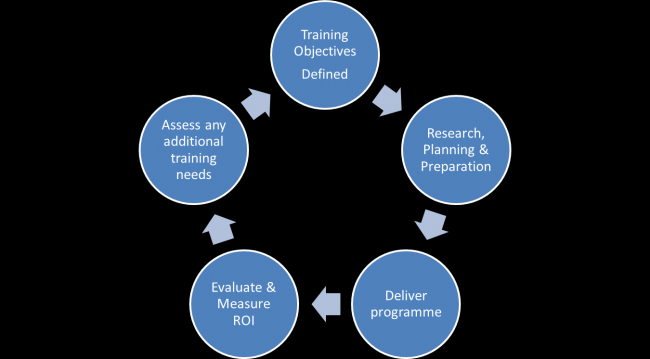 Free training needs analysis and funding assessment available.Contact us to see how we can help you today.